One of the leading figures of the Checkmat team – co-founder Chico Mendes is the latest addition to the USA’s list of high level jiu jitsu instructors. Originally from Rio de Janeiro, where he learned the trade of BJJ directly from 2x ADCC champion Leonardo Vieira, Mendes had been stationed in the United Kingdom over the past 7 years. In the United Kingdom Chico ran an academy (Bristol), but also played an important role in coordinating all the different Checkmat hubs in their efforts to dominate the competitive scene over the past 3 years, particularly in the London area where the team conquered the last 3 IBJJF London International Open and other relevant tournaments. Among some of Chico Mendes’ achievements as an instructor, in England, were the promotions of 6 local practitioners to the rank of black belt, this included Ian Rossiter, Matt Sellers, Keith Fletcher, Antanas Jazbutis, Paul Severn and Vagelis Detsis (Greece). 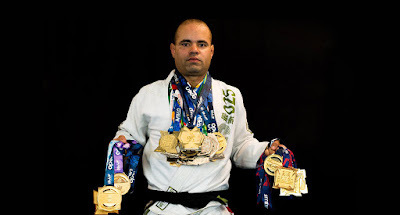 While competing all around the world over the past couple of years, within the International Brazilian Jiu Jitsu Federation’s (IBJJF) circuit – a tour he finished ranked #2 (black belt, Master 1 division) this year, Mendes grew fond of the US – a country he believes to be the “Meca of Jiu Jitsu” today. This idea and the fact that he is still actively competing had Mendes looking to open an academy where he could have his finger closer to the sport’s pulse. This opportunity ultimately presented itself in Allen – Texas.